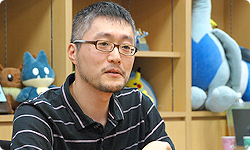 Sugimori-san, what else did you think when you heard Masuda’s “policy speech”? I was somewhat reluctant, of course, but I also trusted the fact that he wasn’t wrong. Because you two have worked together for a long time, right? Yes. It’s my role to rein things in when they start to go overboard, so they don’t stray outside the boundaries of the Pokémon games. So even as you broke down your customary way of making the games and the rules that govern them, it was your job to make adjustments so that they still felt like Pokémon games. Exactly. But when the policy speech is a little over-the-top, the way I apply the brakes turns out to be just right. I always brake with an equal force, so the more powerful a start we get, the more different the end result is. The higher the hurdle, the higher you can jump. The planning sheet prepared for the policy speech this time was about 200 pages long and contained a thorough explanation for each element of the game. For example, what it means to cross a bridge and how we would present participating in another player’s game were described in full detail. Did you write that many pages for the Diamond and Pearl speech as well? This time, you were tackling a lot of new challenges, so there was a lot more to explain. It possesses a high degree of newness. Even the way we made it was completely new. And while you usually add an all-new region with each completely new game, the whole atmosphere changed a lot this time. Yes. We modelled it after New York. Why did you model it after New York? Mostly because I strongly wanted to make a big change. Also, I once had my music arranged and had it performed in Pokémon concerts.9 9Pokémon concerts: In 2006, to commemorate Pokémon’s tenth anniversary, Pokémon Happy Birthday Concerts were held at four locations around Japan. 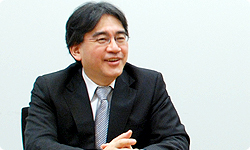 The music was arranged by composer Shigeaki Saegusa. 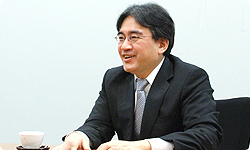 You’re the composer, as well as the game director, right? Yes. I had concerts held in Kanto region (Kanto), Kansai region (Johto), Kyushu region (Hoenn) and Hokkaido prefecture (Sinnoh) in Japan to represent the regions in the Pokémon games, and when I thought about where I would like to hold another one if we could ever do it once more, I thought New York would be good, because there are lots of famous theatres for musicals and opera in Manhattan. But there were so many problems involved — like flying all the musicians and instruments to the U.S. — that it never happened. So the idea of setting the games in a place like New York was inspired by your idea for a concert location? Yes. 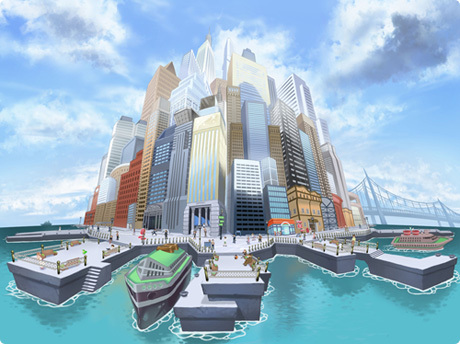 (laughs) For some reason, New York came to me as something appropriate to follow Sinnoh, image-wise. So first you decided to base the setting on New York. Then what did you decide? We decided on the setting, and then we roughly decided where we should put towns. For this, I went to MoMA10 in New York. 10MoMA: The Museum of Modern Art in New York City features one of the world’s foremost collections of modern art. Right. I sat in the chairs in the courtyard and turned over ideas. The image of a hexagon suddenly came to mind. And that reminded me of beehives. So I thought it would be interesting if we placed the equivalent of Manhattan in the centre, and then laid out towns and nature areas on both sides in a series of hexagons. Also, one area needing improvement in the past was that some children had been unable to complete the games, so this time we wanted to make it so you could take a more direct route through the main adventure than before. Completing the story is part of the overall enjoyment of a Pokémon game, and you wanted lots of people to enjoy the games all the way through, right? Yes. Some would say that the real fun of a Pokémon game doesn’t begin until you complete the story. So first we imagined a hexagonal region, then lined up some skyscrapers like you see in Manhattan, threw in some piers, and little by little the city came together. We decided to call it the Isshu region. 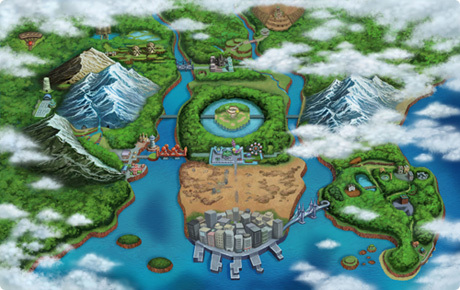 Pokémon and people of all kinds gather in this region, resulting in tashu (Japanese for “various kinds”). Oh, so Isshu comes from isshurui (one kind). Right. There may be many kinds (tashu) of people gathered there, but if you look from afar, the region looks like it only has one kind (isshu), so we gave it the name Isshu. In that way, it’s a lot like New York. New York is indeed an interesting place where a wide variety of people and cultures mingle. Yes. Doesn’t it sort of feel like the kind of place where people from another country might throw a rowdy party next-door but their neighbours wouldn’t mind? I thought it was incredible how so many different types of people had gathered together into one city. It also has a big bridge, and it’s not only because I wanted to have a concert there, but for all these reasons, I thought New York was the perfect place. I see. While Masuda-san was settling on this new setting, Sugimori-san, you needed everyone to eventually say, “This is Pokémon.” What was in your head as you tried to move forward? Actually, this is the first time since the first Pokémon games, Pokémon Red and Pokémon Green, that we created the entire Pokémon line-up from scratch. Right, it is. Whenever there’s been a new generation up to this point, you’ve adopted Pokémon from the previous one and added in some new ones. But by creating a new Pokémon, you have to create a whole new kind of ecosystem. You don’t just think up a new Pokémon, you need to create a world with the right balance. The Pokémon designers actually go to zoos and observe real animals to stock up on ideas, don’t they? Yes. If there isn’t something underlying it, it doesn’t feel real at all. We established a base from what we picked up at zoos and aquariums, and then challenged ourselves in our design work to see how creative we could be and how much we could surprise the fans. I suppose you exaggerate and mutate your subject matter, but the Pokémon are born of actually going out to zoos and aquariums and observing something to serve as a basis, rather than just shutting yourself up in your room and drawing. About how many people worked on the designs of the new Pokémon? There were 17 people this time. 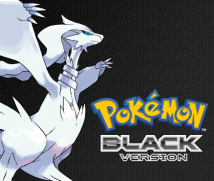 From the beginning, all the graphic designers were involved in the Pokémon games. Has that been true every time? Yes. Each time, I say, “Everyone must join the team, throw out some ideas, make some designs and design at least one Pokémon. We’ve got quite a few people, including some veterans, and this time there were some first-timers. There weren’t 17 people when you made Pokémon Red and Green, were there? No. Maybe just under ten. I feel like it must have become more difficult since then to design Pokémon that can enter into a single ecosystem and make it feel natural. And I suppose there are lots of restrictions. Yes, there are. Nonetheless, newcomers tend to come up with interesting ideas. Oh, you feel like newcomers are able to come up with new ideas because they aren’t held back by past designs? You pass judgment as to whether it’s fit or not for entering into the pantheon of Pokémon? Exactly. I pass judgment, and then when I illustrate it, it becomes a Pokémon. Sugimori-san, you draw each one at least once? I draw all the final, official illustrations. Then, just before we create the pixel art, I draw the Pokémon ( Snivy , Tepig , Oshawott ) from various perspectives. If there are differences in the illustrations up to that point, that’s when I unify them. That process may be one reason why the Pokémon always possess that distinct Pokémon vibe. I think so. They all fit together visually. It’s like you’re a kind of filter through which everyone’s ideas pass and are Pokémon-ised. I suppose people who have always loved Pokémon, who wanted to have something to do with them and then started working for Game Freak, will at first come up with Pokémon designs like ones they’ve seen before. They do. So I tell them that they can test the boundaries of what a Pokémon is a little more. 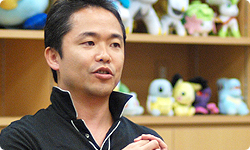 Masuda-san, what do you think as you watch the process of creating new Pokémon take place and what kinds of requests do you make? I occupy a meeting room and put up their pictures in order. Then as I’m looking at them all lined up, during the latter half of development, I may get the feeling that the colour balance isn’t quite right. That’s how you look at the overall balance? I look at them all and think things like, “This area has a little too much of such-and-such a colour,” or “This one’s cute, but is that the right colour for it?” But for each one of the Pokémon I don’t say anything. I leave that to Sugimori-san.